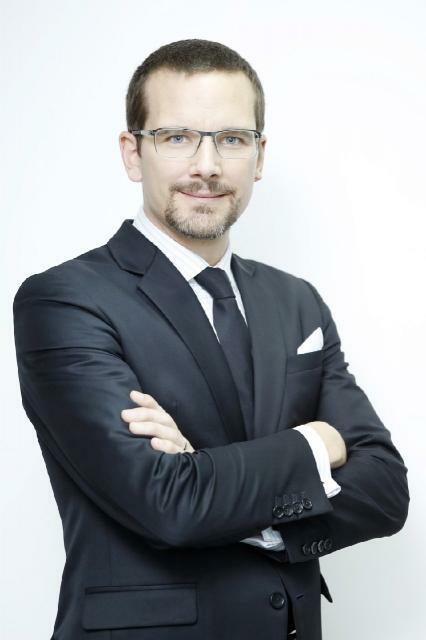 Ras Al Khaimah, United Arab Emirates: AETOS Wire: The regional leading pharmaceutical company Julphar announced today that its Board of Directors has appointed Jerome Carle as General Manager – effective immediately. The Board expressed confidence in Jerome’s aptitude and competence to make an immediate impact to the business, to lead the management team and to execute the company’s strategic objectives. The Julphar roadmap – Vision 2020 – will be a key pillar to drive Julphar to the top of the MENA markets. Jerome Carle joined Julphar in January 2017 as Chief Financial Officer. He has over 20 years of financial expertise in emerging markets and his broad experience has shown his ability to deliver results in challenging environments. He has a proven track-record in the pharmaceutical industry, having served in the most reputable multi-national companies, with a full hand responsibility on the business operations, financials and administration. Established in 1980, Julphar is one of the largest pharmaceutical manufacturers in Middle East and North Africa, producing over 200 branded products across 16 facilities. Julphar’s mission is to offer high quality medicines at affordable prices. Our product portfolio includes Biotechnology, Wound and Women Care, Adult and Pediatric General Medicines, Gastro and Pain Management, Cardio-Metabolism, Diabetes Solutions and Consumer range. Julphar employs more than 3,000 people around the world and registered revenue of AED 1.45 billion in 2016. Previous articleVAT in the GCC: What does it mean for your business?